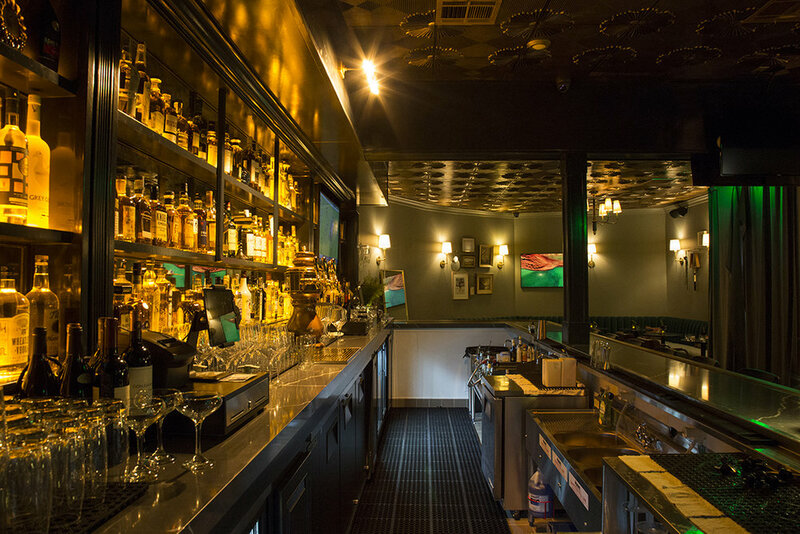 A sophisticated, sleek lounge where the bartenders remember your name. Tim Foley, Jonathan Dahl, and Jocelyn Kaylene are thrilled to share their first concept, Georgia’s Cocktail Lounge. The eclectic tapas menu offers comforting bar bites as well as rich treats to satisfy those late night munchies. The cocktail program features oldies but goodies as well as uniquely crafted cocktails all from fresh, local ingredients. Expect local craft beers and spirits to challenge the more adventurous drinkers. Look for additional good eats soon! See what’s happening at Georgia’s. Georgia’s beautifully designed interior, stellar drink selection, and tasty offerings make it the perfect place to host your next holiday party, corporate event, birthday party, and more. Tell us about your event and we’ll handle everything! Sign up with your email address to receive the latest news and updates for Georgia’s Lounge.